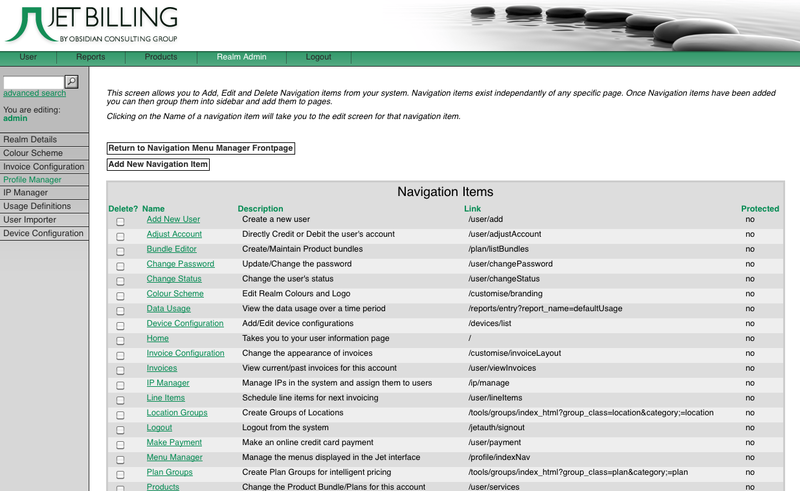 The Manage Navigation Items page lists all the navigation items in the system (shown in Figure 19). To open this page go to the Navigation Manager tool and click on the Manage Navigation Items button (shown in Figure 20). Navigation items exist independently of any specific page. Figure 20 Manage Navigation Items (Sidebar Buttons) button. Add a new Navigation Item: click on the Add New Navigation Item button above the top of the list of Navigation Items. Delete a Navigation Item: select the checkbox(s) next to the item(s) you wish to delete. Click on the Delete selected Navigation Items button at the bottom of the list of navigation items. Edit an existing Navigation Item: click on the hyper linked name of the data field you want to edit.